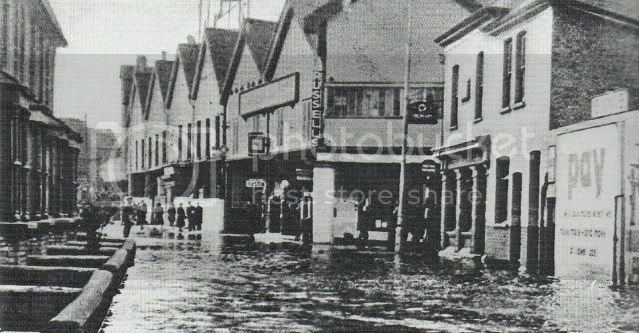 Here is a photo of Russell's in 1949, during a flood in Medway Street. Scott's timber yard is immediately beyond and is virtually the same building. The danger of the fire in Russell's spreading to that can be imagined. The garage was burnt to the ground, yet the timber yard was hardly touched.